One of the unfortunate things about owning an urban business or residential property is the common problem of graffiti. 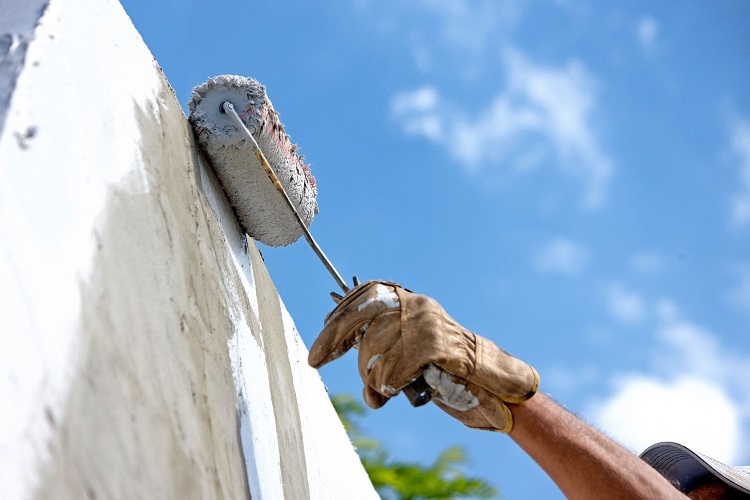 Being a completely different type of paint than commercial wall paint, graffiti is one of the most difficult types of paint to remove from a building. However, new and improved techniques allow us to remove graffiti in a few simple steps. One of the most efficient and ecologically friendly methods of removing graffiti comes in the form of blast cleaning. This process is also used for other uses included moss removal, sandstone polishing and brickwork/concrete cleaning. It utilises a highly pressurised jet of water that gradually removes the paint from the surface of a wall or building structure. This method is great for removing graffiti over a larger area, where entire wall surfaces are have been covered. Not only does blast cleaning offer a fast and reliable method of removing unwanted graffiti from wall surfaces, but it doesn’t involve the use of any harmful chemicals. Many blast cleaning operators can also treat a wall surface with chemicals to help with the removal, but in many instances, the high pressure of the water itself is powerful enough to remove the graffiti. Many of the high power blast cleaner guns are backed up by a water and solution mixer box. This combines the necessary detergent and cleaning fluid with the high-pressure water too. With this technique, you will notice a clear difference in the quality of the surface after the cleaning is complete. It is often the case that after the removal is complete; the property owner notices the cleaner surface and requests that the entire building’s surface is cleaned via the same method. For smaller quantities of graffiti where a fully professional graffiti removal services aren’t necessary, it may be the case that the graffiti can be removed simply with an all-purpose paint thinner and paint remover. In these cases, it is recommended that the best paint stripper or remover be used for the specific surface that needs to be stripped. For instance, a paint stripper made specifically for brick or concrete surfaces should not be used on woodwork or metal work. With a plaster knife or paint stripping tool, you can often peel back the layers of the paint surface and bring back the wall or building’s surface to its former glory. Most chemical solutions can be harsh and dangerous to your health, so it is recommended that all safety precautions be taken. It’s important to protect yourself with all of the appropriate gear. A professional graffiti removal service is likely to be able to perform the task, from initial inspection to remove and clean up very quickly. Many professional services can have the graffiti removed within 12-24 hours, depending on the severity.